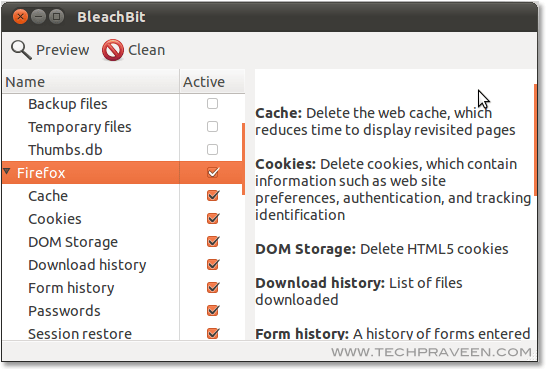 Yes, there is a freeware utility – BleachBit(A very good alternative to CCleaner). BleachBit is available for both Windows and Linux operating system. BleachBit is a open source software. It deletes unnecessary files to free valuable disk space, maintain privacy, and remove junk. With this freeware utility you can get rid off old clutter including cache, cookies, Internet history, localizations, logs, temporary files, and broken shortcuts. It wipes clean Adobe Reader, Chromium, Firefox, Flash, GIMP, Google Chrome, Google Earth, Internet Explorer, Java, KDE, OpenOffice.org, Opera, RealPlayer, Safari, Skype, VIM, and more. All in all, BleachBit will offer you the possibility to get back disk space as well as keep your privacy. 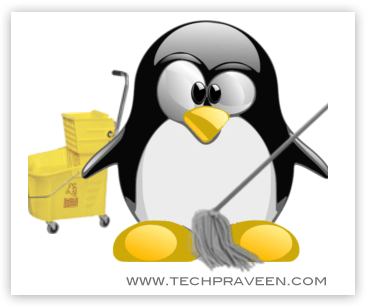 How To Install BleachBit in Ubuntu Linux?